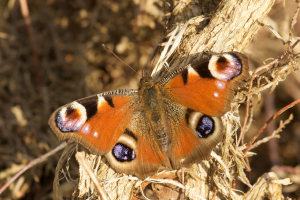 Observation - Peacock Butterfly - UK and Ireland. Description: A fine specimen that has come through winter hibernation in almost perfect condition. A fine specimen that has come through winter hibernation in almost perfect condition.